Metro Boomin is arguably one of the most sought-after new generation rappers and producers whose sounds/lyrics are gradually permeating and dominating the music world, especially in hip hop circles. Though his success seems quite spontaneous to many, it is unpopular knowledge that the young producer has actually trod a long path to fame. Metro’s uniqueness and versatility are evidenced in his works with people of all strata including the young, old, as well as the high-profile. Be inspired to success with interesting facts you never knew about this sensational artist. Who Is Metro Boomin, His Age And Real Name? 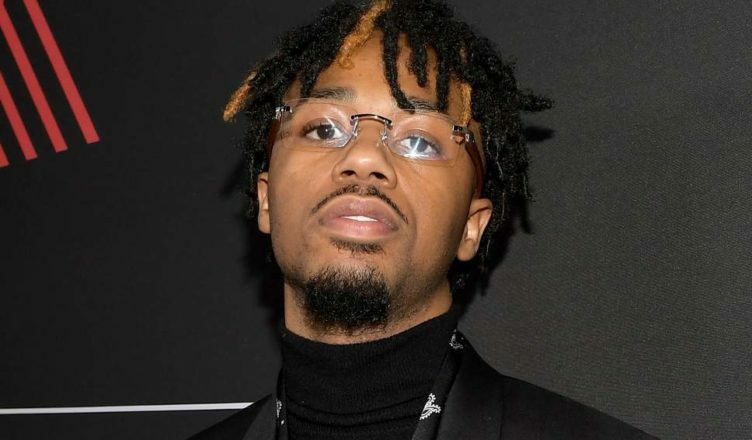 In the music world, he is known as Metro Boomin, but to his family, he is Leyland Tyler Wayne, the Georgian born on the 6th of September 1993 in St. Louis, Missouri. Metro is one of the five kids born to Lamont and Leslie Wayne. Boomin majorly owes his success in the music industry to his mother who has been supportive of his talents and hustle. Though his musical inclinations were evident from a young age, Metro’s mother Leslie made education imperative for the young lad but allowed him to practice music by the side. Leyland learned to play the guitar quite early while he was in his school band but his first beats can be traced back to his high school days at Parkway North, thanks to his mother who got him a laptop at age 13. Metro Boomin wasn’t the normal high school kid, rather, he invested his young creative days into making good music mostly rap and then hip hop. An autodidact, Metro Boomin armed himself with more knowledge from the internet and kept his eye on the goal…to become a world-class music producer someday. In his quest for a larger platform and audience, Metro also consistently sought after industry big-wigs on the internet in order to show them his beats and talent. Metro Boomin’s breakthrough eventually came while still in high school when he met famous rapper OJ da Juiceman who not only believed in his talent as a next-rated songwriter but also helped him coin his stage name. In fulfilling his promise to his mother, Leyland continued with his studies and still maintained high grades while doing his music. After high school, he proceeded to Morehouse College in Atlanta to study Business Management but after a while, he finally ditched school for a full music career. Young Thug, as well as I Get the Bag by Gucci Mane and many others. In addition to his works behind the scene, the young producer also has a mixtape 19 & Boomin and two albums – Perfect Timing and Savage Mode to his credit. Metro’s dedication and hard work have so far been paying off not just financially but also with fame. His works have earned him industry honours most notably that of 2016 when he was named the Producer of the Year by BET Hip Hop Awards. Given Metro Boomin’s meteoric rise in the music industry, many fans have been curious about the young rapper’s romantic life. His female fans may be disappointed to know that Metro is in a relationship and currently off the market. Though he has not categorically confirmed his relationship status, it is known that Metro is smitten by a particular damsel as evidenced on his Instagram account. 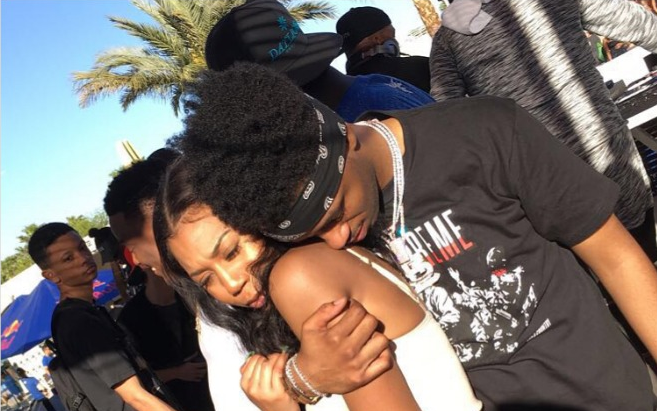 So far, not much is known about the girl behind his smiles but she is believed to go by the name Chelsea (or _cottonball_ on Instagram) and has been Metro Boomin’s belle since 12th grade. Moreso, Chelsea who seems to have reclined from social media was once a star on the now-defunct video app Vine. Following how long they have been together and how they love to flaunt their love on social media, it is safe to say that Metro and Chelsea are head over heels in love and show no signs of backing down anytime soon. Metro has definitely done well for himself at such a young age as evidenced in his earnings and high demand status. The talented musician has his net worth currently estimated at $6 million, an amount amassed from his music career so far. But given his many projects still in the works, spontaneity and increasing breakthroughs, Metro’s financial value is set to increase in the nearest future. 1. Metro Boomin’s slender physique is complemented by his 5 feet 11-inches height and a 75 kg weight. 2. Boomin didn’t have a perfect childhood as his parents separated when he was in 3rd grade. He doesn’t have a good relationship with his dad Lamont and they haven’t been in touch for years. On the other hand, Leyland shares a very close relationship with his mom Leslie who has been his backbone in his career. Metro describes his mom as a protective and warmhearted woman. 3. Not many are aware that Leyland’s first stage name was Lil’ Mont, a name he briefly adopted in honour of his dad Lamont. More so, his current stage name ‘Metro Boomin’ has a story to it. The first part – ‘Metro’ was coined from the MetroLink (subway system) in St. Louis while popular rapper OJ da Juiceman gave him the other part ‘Boomin’. 4. It is only Metro Boomin’s mom and girlfriend Chelsea who call him by his real name Leyland. 5. Metro’s famed confidante is rapper Future. Their relationship was established in 2012 after the rapper dropped his 2012 hit Karate Chop, and has since made Metro his most trusted producer. 6. The young rapper owns a Smith & Wesson 9 mm gun which he got as part of security measures for living in Atlanta.